Relational databases store and manage data in a traditional table format, with each piece of data organized into a row and a column. Columns hold the data of a single type or field, like first name, order number, or the image link of a product logo. Rows create the relationship between these data points. For example, rows can associate a first name to a last name and then to a user name, email address, and customer ID. Businesses use relational databases to maintain the data from their applications and ensure they always have access to critical customer information, product data, social data, and financial particulars like purchases, fulfillment, revenue, and expenses. These systems can range from desktop applications that create a small database on your machine to large enterprise-grade data stores. Almost all use a form of SQL as their query language, and most adhere to the ACID set of properties to ensure reliable transactions: atomicity, consistency, isolation, and durability. Relational databases are generally chosen due to their simplicity in comparison to NoSQL databases, such as object-oriented databases, document databases, and graph databases. Those looking for a relational database solution with little budget also have options with free database software. Relational Databases reviews by real, verified users. Find unbiased ratings on user satisfaction, features, and price based on the most reviews available anywhere. Amazon Relational Database Service (Amazon RDS) is a web service that makes it easy to set up, operate, and scale a relational database in the cloud. It provides cost-efficient and resizable capacity while managing time-consuming database administration tasks, freeing you up to focus on your applications and business. Amazon RDS gives you access to the capabilities of a familiar MySQL, Oracle or Microsoft SQL Server database engine. This means that the code, applications, and tools you already use today with your existing databases can be used with Amazon RDS. Amazon RDS automatically patches the database software and backs up your database, storing the backups for a user-defined retention period and enabling point-in-time recovery. You benefit from the flexibility of being able to scale the compute resources or storage capacity associated with your relational database instance via a single API call. In addition, Amazon RDS makes it easy to use replication to enhance availability and reliability for production databases. Amazon RDS for MySQL also enables you to scale out beyond the capacity of a single database deployment for read-heavy database workloads. As with all Amazon Web Services, there are no up-front investments required, and you pay only for the resources you use. Harness data with broad functionality and unlimited scalability. IBM Informix is a secure embeddable database, optimized for OLTP and Internet of Things (IoT) data. Informix has the unique ability to seamlessly integrate SQL, NoSQL/JSON, time series and spatial data. Everyone from developers to global enterprises can benefit from its reliability, flexibility, ease of use and low total cost of ownership. Optimize business decisions Perform analytics close to data sources to enhance local decision making. Access business intelligence faster with enhanced integration with various tools and applications. Eliminate downtime Ensure always-on operations across your grid environment. Upgrade, maintain and configure the grid with no downtime. Successfully meet service-level agreements. Improve development agility Support both structured and unstructured data with a hybrid database system for enhanced flexibility and easier development. IBM Informix is available on-premise and on the IBM Cloud. IBM Informix on Cloud offers the complete feature set of on-premises Informix deployments. Run your OLTP queries and workloads on an optimized instance and use the Informix warehouse accelerator to configure in-memory query acceleration for predictive analytics. Get the benefits of Informix without the cost, complexity and risk of managing your own infrastructure. IBM Informix V14.10 enhances all editions, bringing improvements to performance, security, administration, and core database capabilities. Discover why many of the world’s most innovative companies depend on IBM Informix. Lovefield is a relational database for web apps. SAP® SQL Anywhere® solutions deliver enterprise-level data management and synchronization capabilities. The solutions are designed to run in remote and mobile environments on a wide range of small-footprint devices and in real-world conditions. Cloud SQL is a fully-managed database service that makes it easy to set up, maintain, manage, and administer your relational PostgreSQL BETA and MySQL databases in the cloud. Cloud SQL offers high performance, scalability, and convenience. Hosted on Google Cloud Platform, Cloud SQL provides a database infrastructure for applications running anywhere. SAP® IQ software delivers speed and power for extreme-scale enterprise data warehousing and analytics. Its column-oriented, grid-based massively parallel processing (MPP) architecture and patented data compression and indexing technologies enable companies to exploit the value of huge amounts of data at the speed of business. TeamSQL is a Cross-Platform SQL IDE built for collaboration, usability and performance. 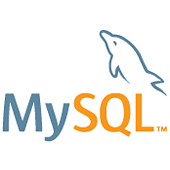 TeamSQL supports MySQL, PostgreSQL, Microsoft SQL Server, AWS Redshift, Redis and runs on macOS, Linux and Windows. Quick way to share data and analytics inside your company. Oracle TimesTen In-Memory Database is a full-featured relational database thats designed to run in the application tier and store all data in main memory. This makes the reading or writing of data as simple and fast as accessing RAM. Postico provides an easy to use interface, making Postgres more accessible. MemSQL is The No Limits Database™, powering modern applications and analytical systems with a cloud-native, massively scalable architecture for maximum ingest and query performance with the highest concurrency. MemSQL envisions a world where every business can make decisions in real time and every experience is optimized through data. Global enterprises use the MemSQL distributed database to easily ingest, process, analyze, and act on data in order to thrive in today’s insight-driven economy. MemSQL is optimized to run on any public cloud or on-premises with commodity hardware. Headquartered in San Francisco, CA with offices in Seattle, WA and Portland OR, MemSQL has raised $110M from top investors including GV, Accel Partners, and Khosla Ventures, among others. MemSQL is trusted by customers including Uber, Akamai, Dell EMC, Samsung, Comcast, Kellogg, and more. If you want to work at a company that celebrates diversity, innovation, leadership, and creativity every day, check out our openings on our Careers page - https://msql.co/2IiV84M. With SAP® Adaptive Server® Enterprise (SAP ASE), you can handle massive volumes of data and thousands of concurrent users to accelerate the growth of new data-driven business applications. Drive value with a faster, more efficient transactional system that is designed to meet the demands of the digital economy. TeamDesk is a hosted database-driven platform for creating, maintaining, organizing and sharing business information over the Internet. Apache Derby is a relational database management system developed by the Apache Software Foundation that can be embedded in Java programs and used for online transaction processing. ApexSQL offers tools for SQL server. CrateIO is a distributed, document-oriented database designed to be used with traditional SQL syntax. VoltDB is an insanely fast, in-memory database for real-time analytics. Active Query Builder is a component for software developers to give end-users without any experience in SQL language the ability to create SQL queries via the intuitive drag'n'drop interface. Same time it allows experienced users to analyze their queries visually by parsing them and building the visual diagram. Active Query Builder substitutes tedious typing with natural point-and-click actions, helps to avoid common pitfalls, enables preview the result sub-query data to understand and debug complex SQL queries. Postgres Plus Advanced Server is built upon and integrates every release advanced open source database, PostgreSQL. EDB engineers then work continuously with our enterprise users to add features, tools and solutions to meet our customers demanding standards. Ragic makes building cloud databases as easy as editing a spreadsheet form. Spotlight on SQL Server Enterprise is designed to deliver simplicity without compromise, unmatched monitoring, diagnosis and SQL Server optimization. SQLGate is an integrated database management and development solution that simplifies construction and operation of databases. A solution that fits different types of databases, SQLGate is customized for seven different databases that make up 83.2% of the DBMS market. These include: Oracle, SQL Server, MySQL, MariaDB, Tibero, and PostgreSQL. SQLGate makes it easier and quicker to deal with databases holding large amounts of data. Tibero is an innovative database management system (DBMS*) that delivers optimal business value. It efficiently manages resources to achieve optimum performance. Amazon Relational Database Service (RDS) on VMware lets you deploy managed databases in on-premises VMware environments using the Amazon RDS technology enjoyed by hundreds of thousands of AWS customers. Apache Calcite is an open source framework for building databases and data management systems. It includes a SQL parser, an API for building expressions in relational algebra, and a query planning engine. Apache Empire-db is a Java library that provides a high level object-oriented API for accessing relational database management systems (RDBMS) through JDBC. Apache HAWQ is a Hadoop native SQL query engine that combines the key technological advantages of MPP database with the scalability and convenience of Hadoop. It provides users the tools to confidently and successfully interact with petabyte range data sets. CA Datacom is a high-volume workload and fault-tolerant capabilities. CA Datacom®, and its family of rDBMS products, provides you with that repository. Why Use Relational Databases Software? Who Uses Relational Databases Software? Relational databases organize data in tables by rows and columns, where columns represent a single type of data (e.g., an order date), and rows relate multiple types of data to a single, unique identifier. Each row’s unique identifier is called a primary key. Multiple tables can be connected to each other using foreign keys, which are a particular column of the same type of data on two or more tables. This allows users to find vast arrays of interconnected data with ease. Relational databases software facilitates the building, maintenance, and usage of these tables. Relational databases are not usually object-oriented, as they are built on creating relationships between pieces of data. Typically, relational databases are built on a querying language called SQL (Structured Querying Language). Relational databases software will almost always read SQL and use SQL syntax or similar. SQL’s syntax is very simplistic, and as such, it is one of the easiest languages to learn and use. Relational databases software is often built to follow the ACID (atomicity, consistency, isolation, and durability) transaction model to confirm that updates made to a SQL database are complete, accurate, and reliable. Data Association — Relational databases are extremely powerful for storing and retrieving associative data. Be it e-commerce order details, patient information, stock tracking, or something more, relational databases excel in creating meaningful connections between a primary key and its describing information. Because they can be uniquely generated, primary key values are typically numbers, and values (e.g., full name, quantity, order date) are associated to that value by being stored in the same row on the table. This massively improves data organization for companies. Targeted Query Results — By using relational database software, businesses can build vast, interconnected databases that quickly return important information, exactly as needed. Relational databases have a massive strength in being able to produce query results that span over numerous tables. By using join operations and table aliases, users can query across several tables at once to build an output of the exact data they require. This eliminates the need to store huge quantities of data on a single table. Instead, database administrators can build out as many tables as needed to better organize data, and those tables can be connected by foreign keys if any of the data needs to be associated. Ease of Use — Relational databases are designed to be easy to build and even easier to use. At a fairly low learning curve, anyone in your company that could make use of relational databases tools would be able to use them with basic training on the software. Finance and Accounting — Relational databases can be used to track payments and dues by associating a vendor ID, customer ID, or other unique identifiers to payment dates, payment amounts, check or order numbers, and more. All of this can be easily queried through relational database tools, and a complete transactional record can be created in a matter of minutes or even seconds. The ability to organize or isolate this data by, say, transaction date or personnel can greatly improve your finance associates’ efficiency. E-Commerce — Internet prevalence and ease of use has made online ordering, from food pickups to clothes or machinery, not only simple but very widely used. Relational databases can store vast transactional data, including order date/time, customer name, payment method used, customer location, and more. Verifying an order’s correctness is a query away. Additional benefits for e-commerce come in that relational databases can store incredible volumes of information. Individual tables can store millions upon millions of entries at once without harming workflow. Patient Tracking — Relational database tools offer immense value in health care because of the ability to relate so many data points to a single unique identifier. In health care, patients have hundreds of data points to describe their condition, including age, weight, blood pressure, and numerous others. By being able to associate all of those data points to a single unique identifier (e.g., a person’s patient ID), health care professionals—doctors, nurses, lab techs, database admins, and more—can have quick access to any and all relevant data. Database Creation and Maintenance — Quickly create brand-new relational databases and modify them with ease. Scalability — Relational database solutions grow with your data, so the only capacity you have to worry about is physical or cloud storage capacity. Data Security — Relational database solutions include data security features to protect the data your business stores in its databases. OS Compatibility — Relational database solutions are compatible with numerous operating systems, so your business won’t have to worry about the OS when creating databases. Recovery — Whether a database needs to be rolled back or outright recovered, some relational database solutions offer recovery features in the event errors occur. Databases and Data Aggregation — Debate continues on the use of relational databases solutions versus NoSQL databases as the better business solution, as data aggregation continues to rise in the business world. Data-driven products and services require immense data backing now, and the debate is on the best way to store that data. In reality, the two database types should be used together. While relational databases excel in structured data storage, NoSQL databases—non-relational databases—shine when there’s no real structure to how data should be collected and stored. Both relational and non-relational databases can scale quite easily, given the right software supporting them. This shouldn’t be a "this versus that" debate, but a "this and that" collaboration. mostly falls back on relational database solutions. Designed with strict organization, referencing, and referral in mind, relational databases can absorb and store massive amounts of data to be later digested in the decision-making process. Unstructured Data — As noted above, there is a point where relational databases can struggle: handling unstructured data. Relational databases hinge on data being structured to properly create relationships between data points and data tables. If a company uses mostly unstructured data, they should consider perhaps a NoSQL database solution or a data quality software to clean and structure unstructured data. Query Lag — Relational databases can store massive quantities of data, but with that advantage, you may find that relational database tools run queries a little more slowly on larger data sets. This is mainly due to the sheer volume of data being queried. In situations where queries might traverse significant quantities of data, try to query based on specific values whenever possible. Also, querying strings takes significantly longer than querying numerics, so focusing on numerics whenever possible may help improve search times. NoSQL Databases Software — As noted previously, while relational databases solutions excel with structured data, NoSQL databases more effectively store loosely structured and unstructured data. NoSQL databases solutions pair well with relational databases software if a company deals with diverse data that can be collected by both structured and unstructured means. Data Quality Software — Relational databases struggle with handling unstructured data, and duplicate or incorrect data can throw off the accuracy of results once data becomes structured. Data quality solutions help clean and structure data, which makes it easier to then turn around and create a formal relational database for that data. Hi there! Can I help you find the best Relational Databases solutions?